Our Easter dinner included a fabulous ham recipe, cornbread dressing, and many, many desserts. I had planned to make a green beam casserole but ended up not having the ingredients. I did, however, have the ingredients for this tasty, yet simple recipe for sautéed carrots. It’s a great side dish when you need something quick. 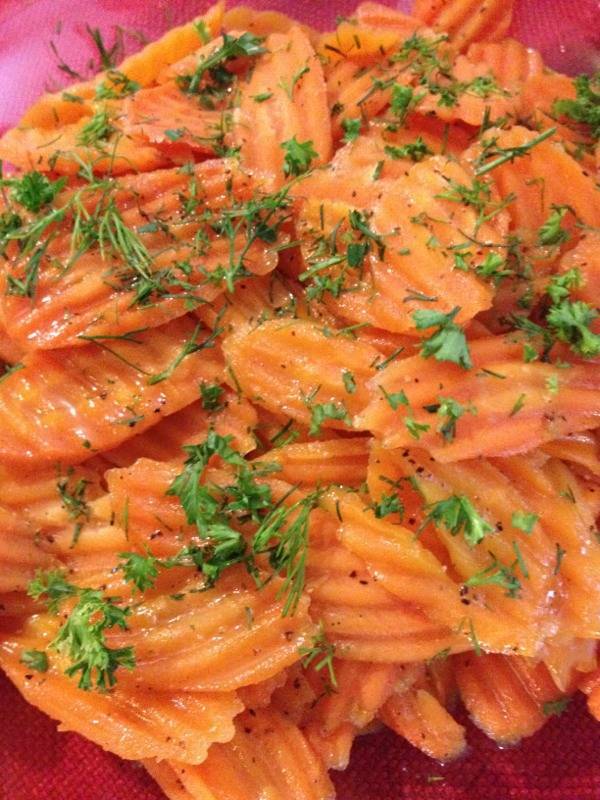 Peel the carrots and cut them diagonally in 1/4-inch slices. Place the carrots, chicken stock, salt, and pepper in a large sauté pan and bring to a boil. Season with salt and pepper. Cover the pan and cook over medium-low heat for 7 to 8 minutes, until the carrots are just cooked through. Add the butter and maple syrup. Sauté for another couple of minutes. Off the heat, toss with the dill and parsley.